Right at the Church and Wellesley Streets intersection, across from the delicious brew of DavidsTEA and nestled between food fit for heroes and a bar that adores Absolut Vodka, is the Glad Day Bookshop. Every other week, a group of geeks and gamers of all stripes gather at the bookstore as if it’s their hearth and home. Samson Romero is one of them. He helped evolve the location into a safe space for people to express their passion for geek and gaming culture and play board games, trading card games and video games. Final Fantasy and World of Warcraft — with a bit of favouritism for the Alliance — are crowd favourites. LGBTQ+ gamers are at war with mental health issues as they fight against discrimination based on gender and sexual orientation in video games. Important aspects of positive mental health and wellbeing are social inclusion and freedom from discrimination and violence, and Toronto Gayming has set the bar high by becoming a space where LGBTQ+ gamers can freely be who they are without fear of discrimination. For example, Toronto Gayming has had booths at Anime North, Fan Expo in order to increase outreach. “We started doing conventions during World Pride back in 2014,” Romero said. “It means a lot, because sometimes people don’t use Facebook, social media, or go to the village. “And that’s okay,” he said. Yet outside of Toronto Gayming, there are gamers who get a constant barrage of verbal abuse from online gamers, which hurts their mental health and causes issues such as anxiety, depression, self-harm and even PTSD. 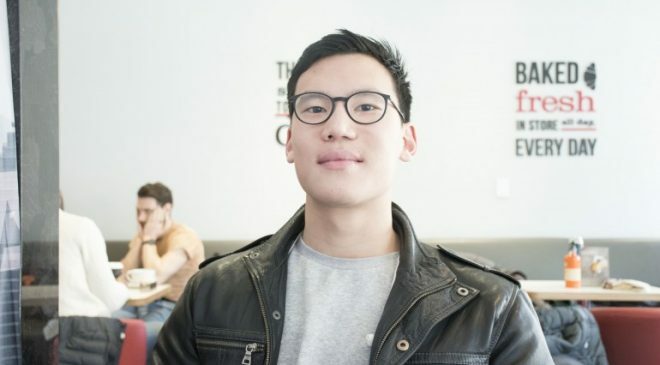 Young Kim, a McMaster University graduate, enjoys playing strategy role playing games and series like Final Fantasy, Divinity Original Sin and Dota 2. Although some of these games are on the social side, he likes to play alone in order to not encounter discrimination that would affect his mental well-being. “I like offline games, usually, unless I’m on a team with people I know,” Kim said. Kenny Dawkins, the event and resource assistant at Humber’s LGBTQ+ Resource Centre, relates to this. “I think the most online games I play is like Mario Kart or like Watchdogs. The only difference is that I don’t usually go on the chats,” they said. “I don’t play super a lot of online, and part of it is also just kinda like to avoid that sort of negativity, too,” Dawkins said. Romero hopes that alternative outreach strategies would reach gamers like Kim and Dawkins. For example, Discord has played an integral role in communication and the organization of LGBTQ+ gamers, and since the outcome of the application are safe places in cyberspace, Romero wants to champion it. Discord is an application designed for gaming communities and features communication via text and speech. “There’s a group called Rough Trade gamers, which is based on online for Final Fantasy 14, World of Warcraft — it’s okay if you’re the Horde — or even other online games,” Romero said. Kim, a game programmer, wants to develop games where it should not even matter if the player is LGBTQ+ or not. While Romero is proud of new indie game developers trying to make their mark in the world, he believes in the opposite and sees value in Kim’s experience as an LGBTQ+ individual. This is because when an LGBTQ+ gamer is a person of colour, issues of mental health are amplified. The lack of representation within popular games create low self-esteem and perpetuates a problematic status quo. “The best way to challenge it is making sure new ideas and voice represents them. An LGBTQ+ gamer may be developing a game, and they don’t represent the whole community, but they show a point of view that may have not appeared before,” Romero said. When Romero was growing up, gaming was not always okay and was seen as childish thing. During high school, he felt that there was no real representation of the LGBTQ+ community at all, and mental health resources to remedy that were not up to par. “You know, it was tough, because back when I was in high school, a long, long time ago, resources were very much focused on mental health support groups. I felt like a medical model where it was like you come out and this is it,” he said. Humber offers such a holistic model with counselling services, to which every student has access, Dawkins said. “We also have spaces that are intended for diverse students,” they said. “So, we have the LGBTQ+ Resource Centre, we have BASE, which is a black success program run by Student Life and we have all these separate groups and spaces that these diverse students are able to go to and like sort of have that support in their communities,” Dawkins said. Kim, for example, wants to develop games where the sexuality and gender of the play should not matter, as well as avoid confronting issues of misogyny and homophobia. “If you’re female sounding or even slightly effeminate, you’re called two things that are classified as negative. You’re called a girl and gay, which are not bad things, but we say it’s because it’s not masculine enough,” Romero said. Romero advises LGBTQ+ gamers of all spaces that challenging assumptions and questioning behaviours that affect mental health are all right, especially when LGBTQ+ youth are committing suicide due to mental health issues that stem from a lack of community and a sense of belonging. “Creating another space, being resistance, being political is hard,” he said. “It’s scary, because it is. No one wants to do it, but you have to sometimes. You have to when push comes to shove,” Romero said.